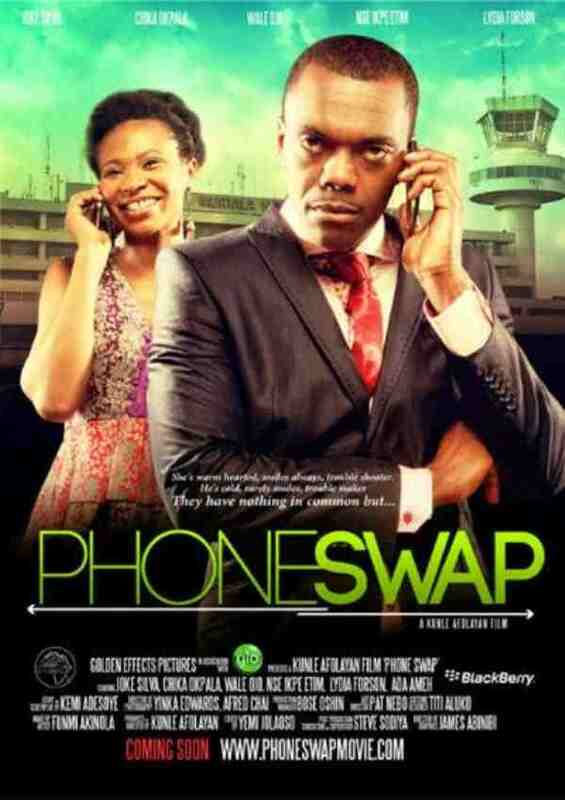 After a successful screening of the much talked about movie Phone Swap in Lagos, there has been so much talk and clamour by fans to see the movie at the cinemas. The movie has now been released for viewing across cinemas within the nation like the Silverbird cinemas, Genesis Deluxe Cinema and The Ozone cinemas in Lagos, Abuja, Port-Harcourt, Enugu and Uyo. The Ghana premiere held on Thursday, 5th April at the Silverbird Cinemas, Accra and this gave residents in Ghana the opportunity of watching the four-time AMAA nominated movie premiere. The fun still goes on over here in Nigeria as the director Kunle Afolayan the producer will be screening the movie to earnest fans on Easter Sunday and Monday at the National Theatre, Iganmu. ‘Phone Swap’ which features Nollywood hottie Nse Ikpe-Etim and Wale Ojo has been nominated for ‘Achievement in Production Design’, ‘Prize for Best Nigerian Film’, ‘Prize for Best Actor in a Supporting Role’ and ‘Prize for Best Actor in a Leading Role’ at the eight edition of the African Movie Academy Awards (AMAA) which will hold in April 2012.